Delivery Australia Wide to your Door! We sell Motor Scooters wholesale to the public! Oz Scooters Direct imports - motor scooters at wholesale prices. Own a reliable scooter without paying over-the-top prices. Delivery of your Motor scooter is available to almost all parts of Australia. Finance available from only $27 per week! Finance Available from only $31 per week! Finance Available from only $38 per week! Finance Available from only $40 per week! If riding is your way of life and budget is a factor, the motor scooter range from Oz Scooters Direct is your best choice! Having a reliable motor scooter ready for daily riding or just a weekend thrill is an important choice. Only a well designed scooter that is built to last and can adapt to all applications is the right choice. A motor scooter from Oz Scooters Direct is a dependable motor scooter that delivers power, reliability and performance. Our range of scooters are engineered and built to maintain the thrill over a longer lifetime. 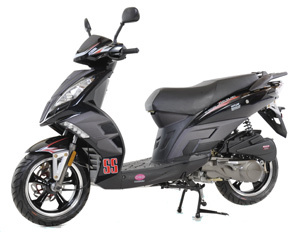 From our 50cc scooter range right through to our 300cc scooters, you can be sure to pick one that best fits your needs. Factory Parts For Our Range Of Motor Scooters And Performance Parts To Suit Most Scooters. © 2019 Oz Scooters Direct. All Rights Reserved.